Unfolding from December 2 to 9, a sensory, interactive, and emotional exhibition entitled “Illuminate the West Zone” aimed to increase visibility for social organizations and community collectives that, with support from the Rio Institute, promote social development and the strengthening of potential in Rio de Janeiro’s West Zone. The expo took place at the Bispo do Rosário Museum of Contemporary Art, located in the old psychiatric institution of Colônia Juliana Moreira in Jacarepaguá. The aim of the innovative interactive experiences was that attendees would not only see the projects, but feel them, generating more empathy for their causes and impacts. The participating projects work to strengthen the territory of the West Zone and its residents through a range of initiatives emphasizing culture, human rights, and social justice. Let’s start with the Seeds of Life Association (ASVI), which works in City of God to train teens in community media and digital communication, including audiovisual skills, to promote the protagonism of residents and local development in a region that suffers from systemic violence. “Our work is important for City of God because it’s a place where violence and violations of rights impede or restrict people’s dreams, mainly those of the children and teens who are the main victims of the current conditions facing our community and other peripheral areas across Brazil. Many people believe their lives occur in a grey reality, without importance, when in reality the world is open for them, whatever place or position they want to have. 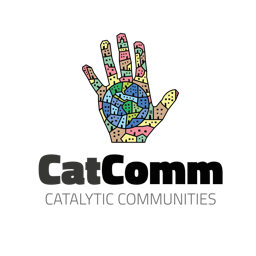 Edu-communication, or education through communication, is the main tool we work with, and it’s open for the whole community. We believe that this form of presenting children and adolescents, this form of self-expression, of building critical thinking and recognition of themselves as holders of rights, is essential for promoting community development,” says Mirian de Andrade, who lives in the community and serves as a coordinator and teacher for the project. 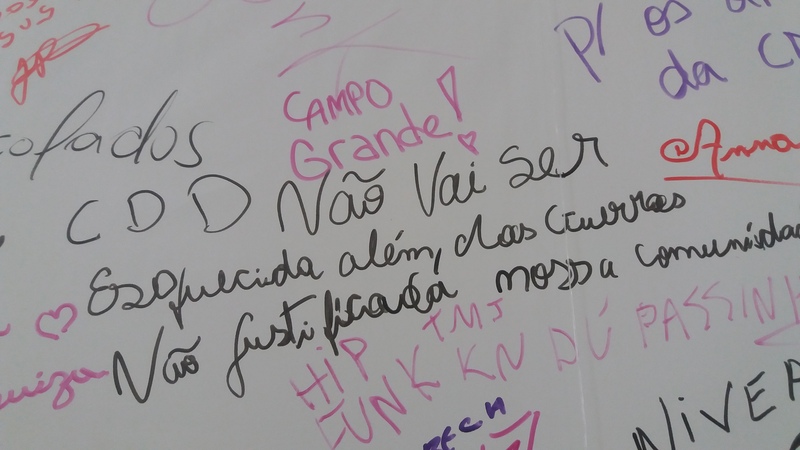 Like the ASVI project, the project Elas da Corrente believes in youth as a potent force and agents of transformation. 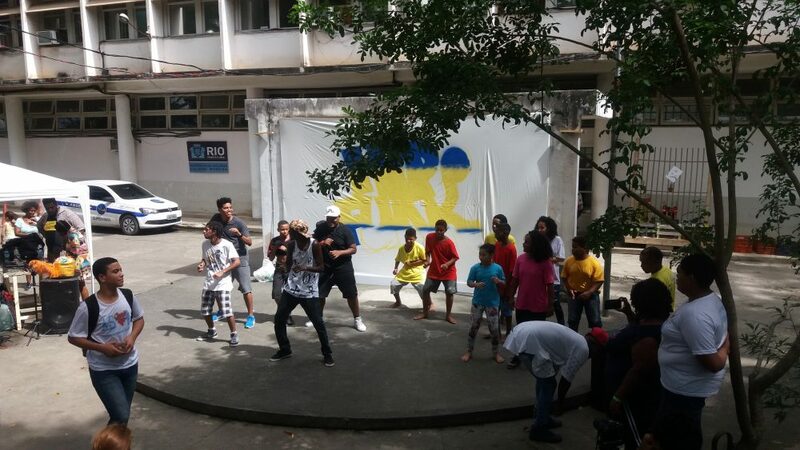 The initiative brings together youth from Rio das Pedras to produce and exhibit audiovisual content reflecting the expression and creative and technical abilities of young people, for them to see themselves as agents of change. Among the short films shown at the exhibition, one explored everyday scenes from the community dealing with harassment and prejudice based on sexual orientation. Through the short films, the project hopes to mobilize local groups and institutions as well as cultural activities to promote gender equality and an end to violence against women. 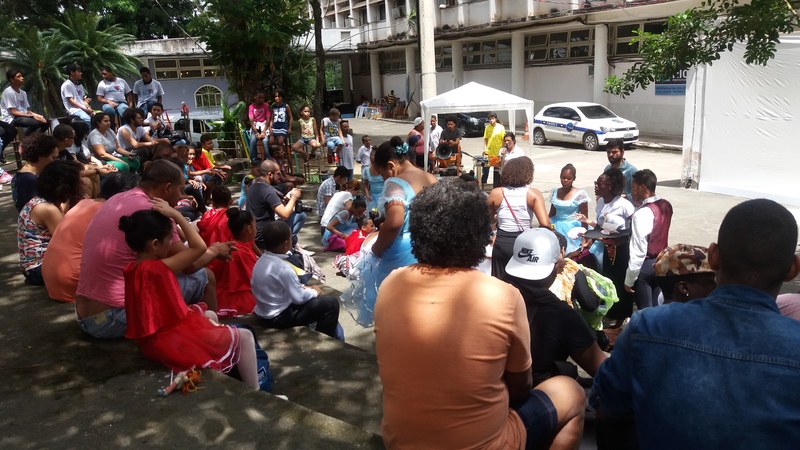 Meanwhile, the Camorim Quilombo Cultural Association (ACUCA) sustains and protects the historical, cultural, and environmental heritage of the Camorim quilombo through art, religion, culture, gastronomy, and sustainability, reinforcing the community’s importance for the city’s territory. The Solidarity Association of Friends of Betânia (ASAB) works in Santíssimo to support the rehabilitation of adults living on the street through the Planting Sustainability project. ASAB participants work collectively to build a space for agroecology as a form of therapy, gaining skills and knowledge in sustainability and environmental education while growing organic products for consumption or for sale. These activities offer a way off the street and away from drug use. The Professor Eurípedes Barsanulpho Assistance Group (GAPEB) attends to community members with physical and mental deficiencies, both in Canal do Anil and other areas of Taquara, helping individuals develop skills and promoting their autonomy, self-esteem, and integration in society through physical activities such as hydro-gymnastics. The exhibit’s opening on December 2 also included a performance by girls participating in the BailArte workshop, run by the Seed of Tomorrow Socio-Cultural Nucleus, and a passinho battle featuring young participants in the HipFunk Collective’s workshops. The Seed of Tomorrow project runs sports and cultural activities for children and teens in Vila Aliança and Vila Kennedy, among others, promoting human development and self-esteem. The HipFunk Collective, in turn, works to put West Zone peripheries and their artists on the city’s cultural map, with a particular focus on the Fumacê favela where the group is based. The project helps artists overcome physical and invisible barriers and get around the city, fueling the creative economy and promoting new cultural opportunities for the peripheries. Other projects featured at the expo included: São Miguel Arcanjo Youth House (CMSMA), a Guaratiba-based project that serves at-risk youth, providing support and facilitating youth’s reintegration in their families through cultural, sports, and ecological workshops and pedagogical assistance; Grupo Arco-íris (Rainbow Group) and its project TRANformações (TRANSformations), which aims to promote health and rights for the LGBT population via awareness building, workshops in communities in Campo Grande, and involvement in the development of public policies; the Obra Social Dona Meca, which works in Taquara to attend to children with deficiencies and in vulnerable situations; and the Coletivo Mulheres de Pedra (Women of Stone Collective), which promotes local development, the solidarity economy, and the appreciation of local potential. This latter group aims to stimulate the creativity of black women, public school students, and West Zone residents, all of whom are excluded from the traditional cultural circles that dominate funding and media attention. “Civil society can, and should, organize its territory to promote opportunities that governments and enterprises do not prioritize. This is especially important in the West Zone, where people often look upon their neighborhoods as dormitories, due to the difficulty of getting jobs with good salaries close to their homes. The West Zone represents the poor end of inequality in the city of Rio, with similar indicators to those of the Baixada Fluminense [in greater metropolitan Rio]. In addition to the division between favela and the ‘asphalt’ [the formal city], there is a geographic division across the city. 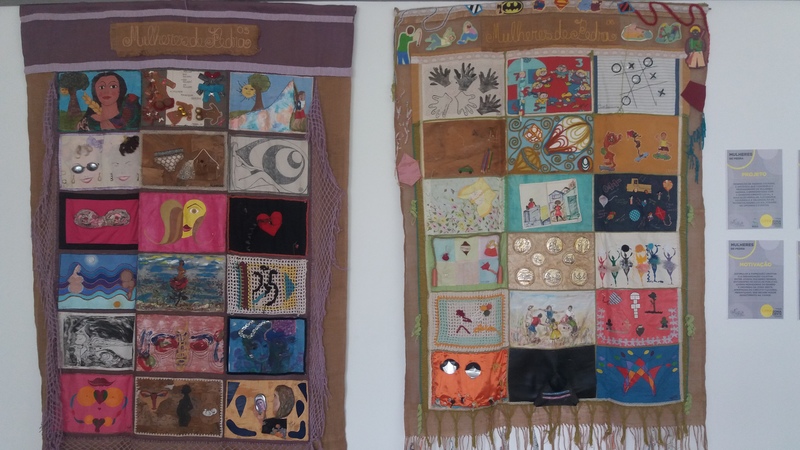 This could be overcome though activities like these exhibitions, which promote local capacity, culture, social enterprise, opportunities for youth, and conscious and sustainable tourism, like that of Camorim. This starts with valuing the territory, starting with its quilombos, the practices they have inherited from slavery, from the dictatorship, from violence, to remake the West Zone as a space of hope and desire,” said Vitor Mihessen, an economist who grew up in Realengo and who is coordinator of Casa Fluminense, an organization dedicated to promoting public policies that reduce the geographic inequality of Rio de Janeiro and its metropolitan region. Lastly, the event’s location, Colônia Juliano Moreira, was a place formerly marked by the brutal treatment—including lobotomies and electric shocks—of those considered mentally ill and deviating from society’s norms. The meaning of being in such a place was highlighted by the presence of participants from the Pedra Branca Center of Coexistence. Today it is this Center which occupies the former colony’s space and works towards the resocialization of users of the mental health network in the broader community. 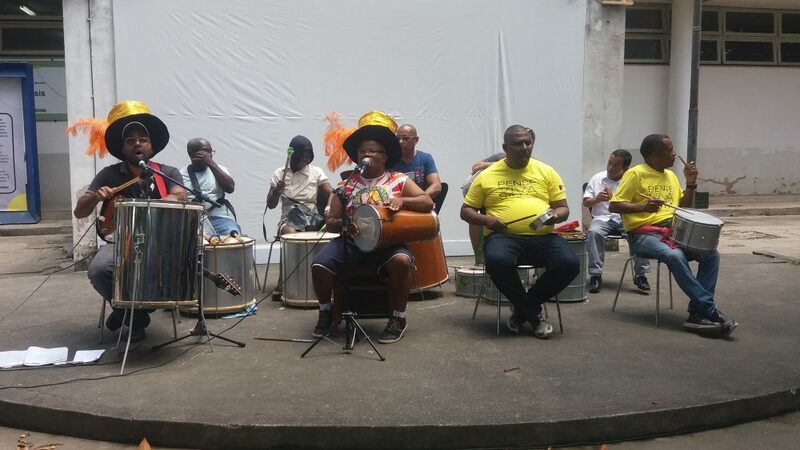 During the event, the Center drew attention to the local restaurant, which was reopened for the occasion, and introduced the Império Colonial carnival bloco that emerged from its percussion workshop. The bloco participated in the opening of the exhibition, playing its samba anthem of the year, “It’s carnival—decolonizing this carnival; a complete unpacking.” The song deals with the reconstruction of the individual through art, and reaffirms the importance of culture in the transformation of mental health and in the struggle against mental institutions. The participants in the bloco pledged to participate in the next carnival with the Friends of Pinel bloco, formed by residents of the mental health institute by the same name in Rio’s SouthZone, and Loucura Suburbana (Suburban Craze), which parades by Méier from the Nise da Silveira Institute, as a form of protest against the city government’s threats to cut the street carnival parades. “It makes me proud to be from the West Zone when I see the work that was presented here. 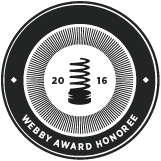 It was a moment in which we were on the map. And I believe that soon the next editions of this event will occupy the main newspapers of the city and be part of the official calendar,” Mirian de Andrade from City of God summarized. Let’s hope her prediction comes true. This article was written by Luisa Fenizola, and published on December 27, 2017.